Blocks GVAN●●, GVAD●● and GVAM11. 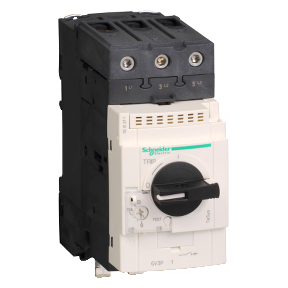 NOTE: Leave a space of 9 mm between 2 circuit breakers: either an empty space or side-mounting add-on contact blocks. Side by side mounting is possible up to 40 °C.